Nurture awareness. Stay focused on what you already have. Maybe even recognize the things you used to long for that now are yours. When we waste our thought and energy on wanting, we lose space to be thankful. I find it easier to shift my focus to being grateful then trying to stop wanting what I don’t have. When I am able to shift my focus slowly there is not space for comparisons and I find I can be more and more content. When we constantly wish that things are different we miss out on the little or big joys right in front of us. Accept. Accepting yourself as you are can be the biggest burden off your shoulders. When we are able to accept where we are, we are better able to set realistic goals to improve ourselves. In a way when we haven’t truly accepted who we are, we are creating a barrier in our ability to improve. 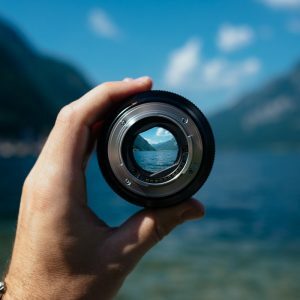 We can get caught in a cycle where we set unrealistic goals, then inevitably fail and then that further disconnects us from the content feeling that we are seeking. Wherever we are is right; wherever we are going can be up to us but we still have to start at the beginning. Patience, grace, and compassion. I find I rush into things, try to hurry past my goals in a fear of missing out. However I end up missing the beautiful process, missing the feelings of accomplishment, and lacking pride that I deserve. Embrace each moment, and in doing so you can focus your energy into making that moment the best it can be which will likely improve the moments there afterward without worry or fear. Be aware, accept yourself, and allow grace.